It is with great pride that I am sharing photos of my beautiful new studio with you. I have been doing newborn photography since 2010, wedding photography since 2004 and I have never had my own studio. 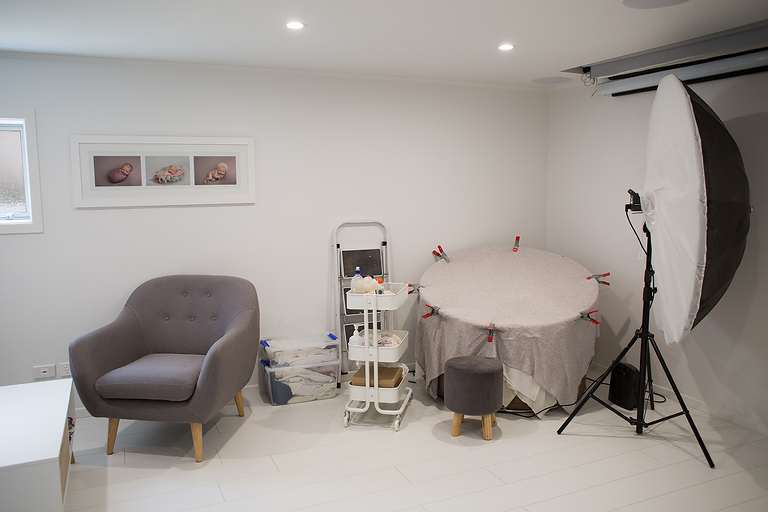 I photographed newborns in my lounge for 6 years before we embarked on a MASSIVE renovation that included a studio for me. It has been a trying time working through a renovation and I was so thankful to a lovely friend of mine who allowed me to rent her basement until my studio was ready. I was there for 6 months and so grateful as I was so busy over that time and would have hated to turn away clients. I’ve been in my studio for 6 months and it’s only just complete now with the toilet being installed recently and kitchenette being plumbed in. So my desire for a self contained studio where my clients can get themselves a drink, freshen up etc has finally come to fruition. I am absolutely loving my little space, it’s a dream come true. 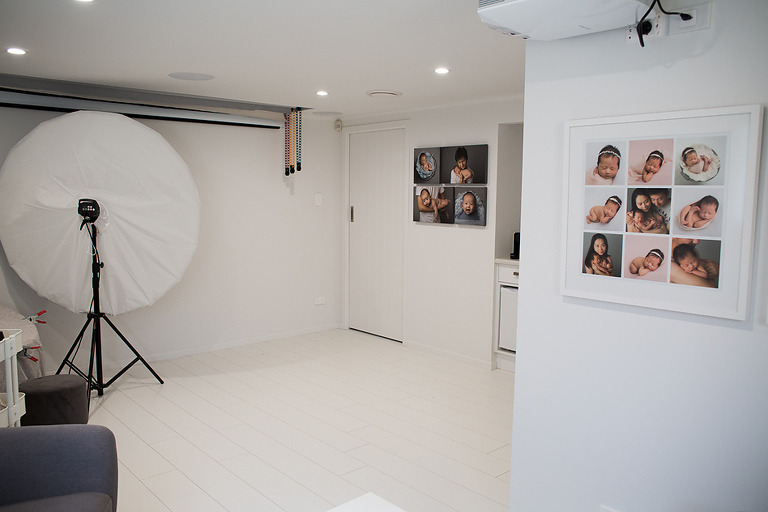 I would love to photograph your little one whether newborn, baby or toddler in my studio. If you would like to know more please contact me. Below are some before shots, please do scroll down to see the final results. This was our laundry and we took over a section of the garage as well. This photo below is a similar view to the first one above. I love my cozy little nook for for parents to sit in. In the original plans that area was going to be a toilet, but we managed to fit the toilet under the stairs (it actually works perfectly) and I got some extra space for clients. I love seeing my artwork on the walls. The projector that you can see there is for showing clients their beautiful images. So many clients have commented on how lovely it is and how it’s like a watching a movie of their baby. It was really important to me to include a kitchenette in the studio as I have never easily been able to offer clients refreshments during their session because I was working out my lounge (and our kitchen before the renovation was an old 50’s kitchen). Clients can now help themselves to refreshments at their leisure. I have the most amazing prop suppliers. Apart from the muslin wraps all of these items are sourced in New Zealand, and I’m so proud to support local businesses. I’ll list some of these amazing suppliers after this photo.